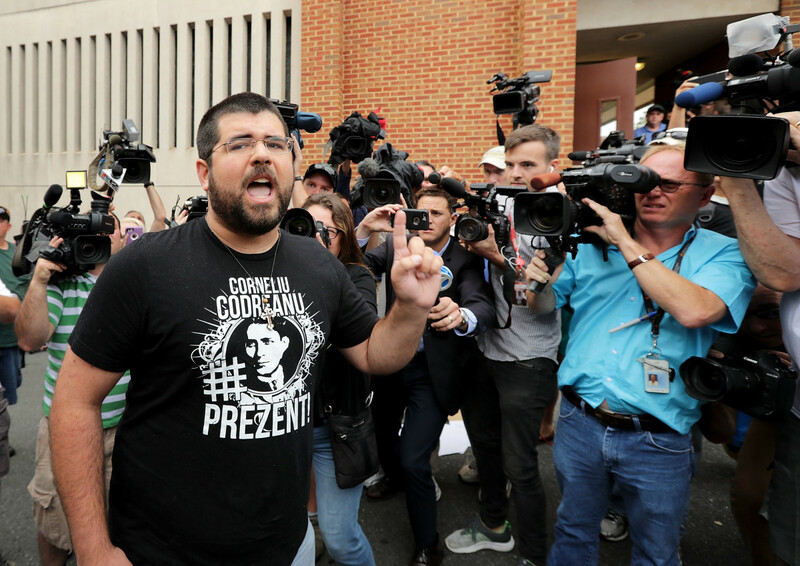 Matthew Heinbach (L) of the white nationalist Traditionalist Workers Party shouts at journalists gathered outside the Charlottesville General District Court building on August 14th, 2017, in Charlottesville, Virginia. The white supremacist forces arrayed in Charlottesville, Virginia, over the weekend—the largest gathering of its sort in at least a generation—represented a new incarnation of the white supremacy movement. Old-guard groups like the Ku Klux Klan, the Aryan Nations, and the Nazi skinheads, which had long stood at the center of racist politics in America, were largely absent. Instead, the ranks of the young men who drove to Charlottesville with clubs, shields, pepper spray, and guns included many college-educated people who have left the political mainstream in favor of extremist ideologies over the past few years. A large number have adopted a very clean cut, frat-boyish look designed to appeal to the average white guy in a way that KKK robes or skinhead regalia never could. Interviews show that at least some of these leaders have spent time in the United States armed forces. Many belong to new organizations like Vanguard America, Identity Evropa, the Traditionalist Workers Party, and True Cascadia, which have seen their numbers expand dramatically in the past year. 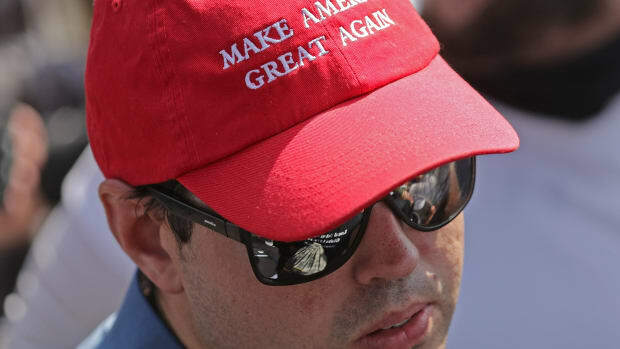 Most of these groups view themselves as part of a broader "alt-right" movement that represents the extreme edge of right-wing politics in the U.S. These organizations exhibited unprecedented organization and tactical savvy. 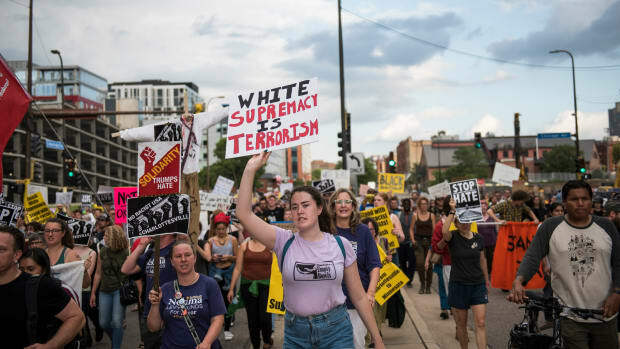 Hundreds of racist activists converged on a park on Friday night, striding through the darkness in groups of five to 20 people. A handful of leaders with headsets and handheld radios gave orders as a pick-up truck full of torches pulled up nearby. Within minutes, their numbers had swelled well into the hundreds. They quickly and efficiently formed a lengthy procession and begun marching, torches alight, through the campus of the University of Virginia. Despite intense interest from the media, police, and local anti-racists, the white supremacists kept the location of their intimidating nighttime march secret until the last moment. 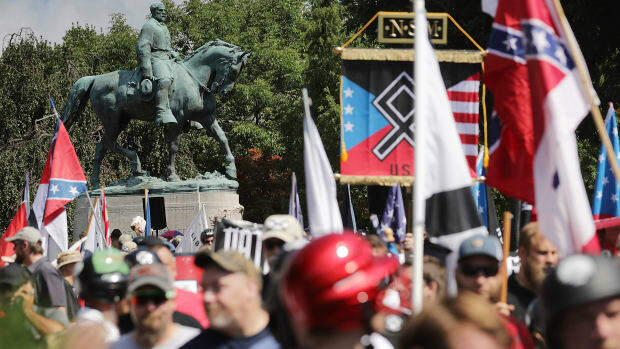 The next day, the far-right forces—likely numbering between 1,000 and 1,500—marched to Emancipation Park. Once again, they arrived in small blocs under military-style command. 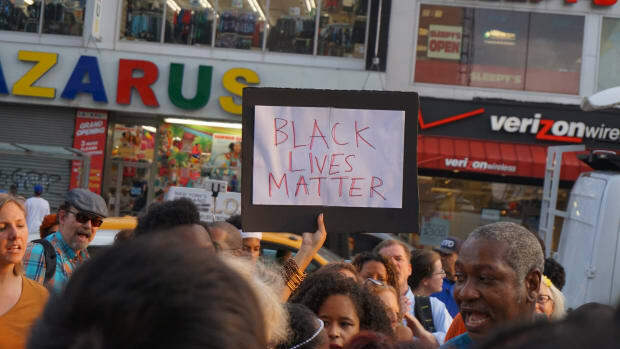 The racist groups were at least as organized and disciplined as the police, who appeared to have no clear plan for what to do when the violence escalated. The racist groups stood their ground at the park and were not dislodged for many hours. For many of them, this will be seen as victory. "Every rally we&apos;re going to be more organized, we&apos;re going to have more people, and it&apos;s going to be harder and harder for them to shut us down," said a spokesman for Vanguard America, a fascist group, who gave his name as "Thomas." "White people are pretty good at getting organized." Later, a band of more aggressive counter-protesters showed up at the park, chanting "Appalachia coming at ya. Nazi punks we&apos;re gonna smash ya!" These militant "antifa," or antifascists, were also repelled by the white supremacists. Those who actually marched included many new to the right-wing cause. The victory of Donald Trump in last year&apos;s presidential election has energized a whole wave of young people who were previously apathetic or apolitical, rally organizer Eli Mosley told ProPublica. 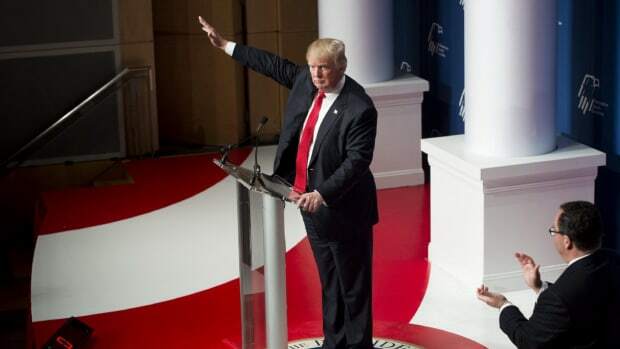 The president has served as "megaphone" for far-right ideas, he said. Mosley and his comrades are seeking to draw in as many of these newly politicized young people as possible. "We&apos;re winning," he said. "We&apos;re targeting the youth and making a movement that appeals to the youth." 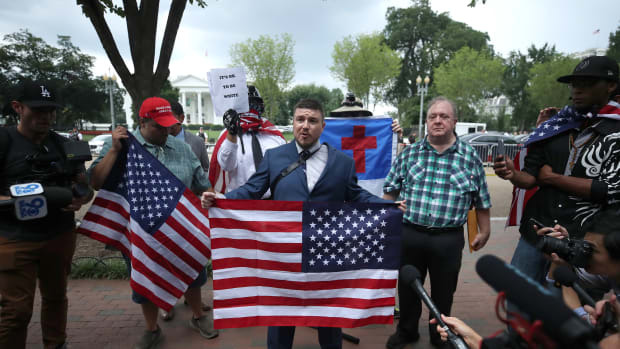 Some of those who&apos;ve gravitated to the extreme right milieu are former liberals—like Mosley&apos;s fellow rally organizer Jason Kessler—and supporters of Bernie Sanders. Many are ex-Libertarians. "I was a libertarian," said Mosley, as white supremacists chanted "Whose streets? Our streets!" in the background. "I looked around and noticed that most Libertarians were white men. I decided that the left was winning with identity politics, so I wanted to play identity politics too. I&apos;m fascinated by leftist tactics, I read Saul Alinsky, Martin Luther King.... This is our &apos;60s movement." This post originally appeared on ProPublica as "A New Generation of White Supremacists Emerges in Charlottesville." and is republished here under a Creative Commons license. When violent white supremacists attack and kill people, criticizing divisiveness and urging people to unite is, at best, a dodge. After a string of racist messages rocked St. Olaf College, a fabricated note introduced a toxic sense of uncertainty that undermined attempts to address a serious social problem.